June 20-24: First week of Summer History Camp—weekly camps continue through Aug. 8-12; click above for more details and information on registration. 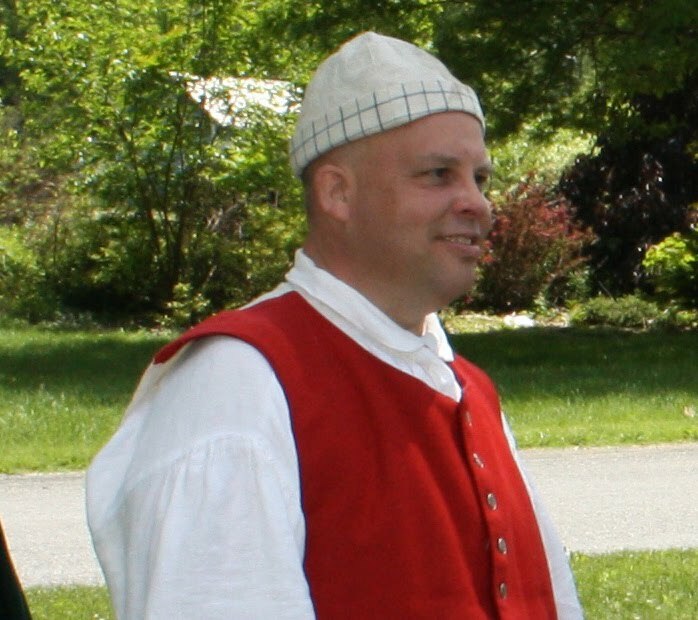 June 18: “The Seven Years War”—speaker is Kristopher White, historian at Fredericksburg and Spotsylvania National Military Park; free for members of Bushy Run Battlefield Heritage Society, $5 for non-members. June 5: Colonial Craft and Demonstration Day—visitors will have the opportunity to see numerous 18th Century craft demonstrators from a bookmaker to weaving. Learn about the historical context, materials and equipment of the mid to late 18th century. 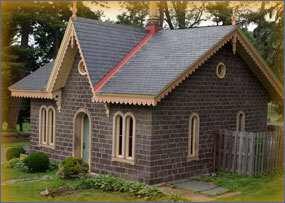 June 15: “Architecture of the Cornwall Area”—speaker is Bryan Van Sweden, of the PHMC’s Bureau for Historic Preservation; this is the annual meeting and dinner of the Friends of Cornwall Iron Furnace, cost is $30 per person and deadline for reservations is June 7 (call 717/272-9711). June 26: Mrs. Buckingham’s Lawn Party—celebrate an old-fashioned summer Sunday with refreshments and outdoor activities (Margaret Coleman Freeman Buckingham was the great granddaughter of furnace owner Robert Coleman and donated the property to the Commonwealth of Pennsylvania in 1932). June 10-12: Patriot Days Encampment—Youth groups gather for a weekend of camping, crafts, and geocaching (new this year) on the grounds; for details and registration, go here. June 18: Evening on the Green—Experience summer leisure activities as the Boones and other colonial families did and take a candlelit tour of the Boone Homestead. June 12: Historical Hikes—Sunday Family Fun program features a 5-mile hike (it’s a loop) through the Oil Creek Valley. June 25: Herb Gardens to Go—Saturday Family Fun program includes planting a family herb garden and making “dirt” sundaes (yum). Also, the Oil Valley Blacksmiths will be on site for their monthly demonstration. June 18-19: Patch Town Days—celebrate the customs and traditions of the anthracite coal region through music, dancing, food, living history presentations, artisans, crafters, and other period activities. June 19: Father’s Day—free admission for dads today. June 11: Paranormal Investigations—part of the site’s monthly series with various groups; reservations and pre-payment required, call 215/343-0965. June 19: Father’s Day Lunch—there will be colonial trades and military skills demonstrations and, of course, food. Call the site (phone number above) to make reservations. June 19: Grand opening of the new exhibit in Joseph Priestley’s laboratory—join in the celebration of a new effort to interpret the laboratory wing at Priestley’s Northumberland home, where he identified carbon monoxide and the science behind carbonation. June 14-17: 55th Annual Summer Institute—traditional craft classes, lectures, open hearth cooking are the heart of this long-standing program; a copy of the registration booklet with class descriptions and more is here. June 14-17: Summer camp, “The Life of a Farm Child, 1700s to early-1900s”—two- and four-day options available. June 21: Hands-on History Days—dozens of hands-on workshops for all ages (this program will be repeated monthly through November, check the website for details). June 24-26: Convergence of Tinsmiths and Coppersmiths—a regional meeting of the Early American Industries Association will bring together people with an interest in metalwork, tools, and history. Anyone interested in early trades and crafts is welcome; a copy of the program flyer is here. June 11: Big Red Fire Truck Day—view Old Economy’s historic fire pumpers in the newly renovated Carriage House. Local fire companies will be on hand as well to display more recent fire fighting equipment; games, water pumper contests, and activities for children will also be part of the day. June 25: Wine Tasting Party—visit one of the Harmonist wine cellars and taste wines from around the word; reservations are required, call 724/266-4500, x101. 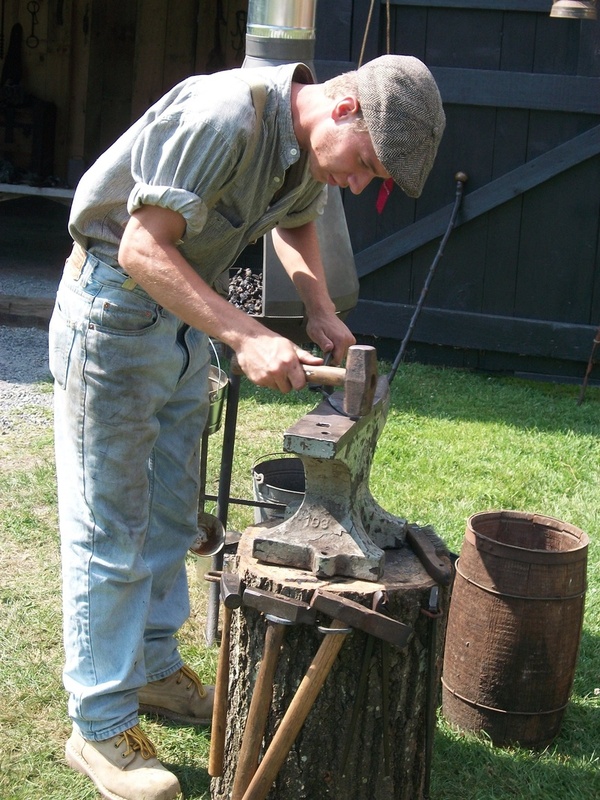 June 5: Historic Trades—the blacksmith and the joyner will demonstrate their skills. June 12: Living History Theater—“The Voyage of the Submission” invites you to take a seat on a 1682 sea voyage to the American colonies and learn about the lives of some of the passengers. June 19: Open Hearth Cooking—learn about dairying as Pennsbury’s cooks make cheese and share receipts (recipes) that include cheese and butter. June 26: Garden Highlights—meet the gardeners and explore the Pennsbury gardens as they come into their summer beauty. June 21: Signature Series lecture, “Religion and Politics in the American Experience”—speaker is Dr. Jon Butler, Yale University, in conjunction with PHS Teaching American History teacher institute and in support of PHMC’s 2011 theme, “William Penn’s Legacy: Religious and Spiritual Diversity.” Lecture will be presented in the Auditorium of the State Museum of Pennsylvania, Harrisburg. Weekends in June: Discount--Visit the museum wearing an Armed Forces-themed t-shirt and receive a guided tour at 1:00 pm for $4.00. June 14: Flag Day Celebration—local veterans organizations and the State College Elks Lodge will host a Flag Day Service and U.S. Flag Retirement Ceremony at the 28th Division Shrine; the public is invited to bring U.S. flags that are no longer serviceable for proper disposal. June 29: “Soft Underbelly, the Italian Campaign of WWII”—speaker is Capt. Jim Bloom, U.S. Navy, ret., who will discuss the Allied invasion of Sicily and Italy, present anecdotes of Army and Navy operations, and share modern photos of key battlefields; part of the Friends of the PA Military Museum monthly Speaker Series. June 3-5: Pennsy Days—three days of author presentations, Pennsy rolling stock and locomotives, model railroad displays, and much more, recalling the history and impact of the Pennsylvania Railroad. June 29-July 4: Reading Days—annual program highlighting the museum’s Reading Railroad equipment and including a model train layout of the Reading Company’s operations in eastern Pennsylvania. June 3-4: Fire at the Furnace and Arts on Fire Festival—Fire at the Furnace takes place Friday evening; tickets are $10 in advance and $15 at the door (patron level tickets also available). Arts on Fire Festival on Saturday is free. Call Anthracite Heritage Museum at 570/963-4804 for details or to purchase tickets. For a taste of last year's inaugural event, go here. June 11: Exhibit opening, “The Civil War in Somerset County”—artifacts from all over the county will help to tell their stories. To mark the exhibit opening, a dinner and Civil War-era fashion show will also take place off-site; check the website for details. Through June 19: DŌSHI Gallery show (in conjunction with Susquehanna Art Museum) and National History Day in Pennsylvania exhibit of winning student entries from 2010 statewide competition. June 18: Fatherhood Family Festival—presented by Nate Gadsden’s Writer’s Wordshop; free museum admission day. June 19 (through Sept. 11): Art of the State—annual juried exhibit of works by established and emerging artists from around Pennsylvania; presented in cooperation with The Greater Harrisburg Arts Council. June 10: Groundbreaking for new visitor center--go here for more info. 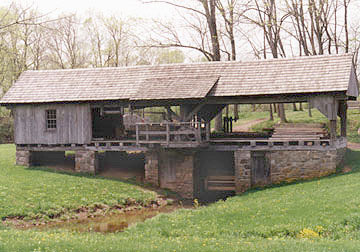 The deadline for early registration for one of the largest gatherings of preservation and traditional trades people and enthusiasts in the world is June 1, 2011. Don't let this opportunity slip by to save money on your registration fees. The deadline for hotel registration to take advantage of discounted group rates is July 1. The 15th annual International Preservation Trades Workshop (IPTW) will be held August 2-6, 2011 on the campus of Thaddeus Stevens College of Technology, 750 E. King Street in Lancaster, Pennsylvania. This exciting event is being sponsored by the Preservation Trades Network, Inc., the Pennsylvania Historical and Museum Commission, and Thaddeus Stevens College of Technology's Preservation Trades Technology Program. IPTW 2011 will bring together hundreds of the best preservation and traditional trades crafts people, as well as preservation architects, preservation consultants, building trades contractors and others from the US, Canada, Europe and beyond, who are interested in learning more about preservation and traditional trades techniques, tools, materials and practices. For those who work in the preservation and traditional building trades, this is a gathering of their “tribe.” For others, it offers a unique opportunity to see some of the finest crafts people at work and learn more about how historic building preservation is accomplished in construction. More than 50 presentations and in-depth hands-on demonstrations will showcase the talents of some of the world's best preservation and traditional crafts people in such diverse crafts as masonry restoration, slate, wood shingle and metal roofing, decorative painting, stained glass repair, timber framing, restoration carpentry and much more. There will also be two-day in-depth pre-conference workshops in the Preservation and Repair of Porches and Painting Historic Buildings, a one-day Lead Safety for Renovation, Repair and Painting EPA certification course, and a five-day course in timber framing. Special pre-conference tours will include a trip to the Mercer Museum, Fonthill and the Moravian Pottery and Tile Works. Another tour will include a demonstration of a water powered vertical saw mill at Daniel Boone Homestead, a behind the scene tour of the Ball and Ball Hardware workshops and a tour of the Wharton Esherick home and studio. The Slate Roofing Contractors Association of North America will also hold their annual meeting and workshops in conjunction with IPTW 2011. A highlight of IPTW 2011 will be Donovan Rypkema's keynote address which will document the important contribution to a local economy provided by the preservation trades, and also the role of historic preservation in comprehensive sustainable development. Conference and workshop sessions are eligible for American Institute of Architects continuing education units. Opportunities still exist for event sponsorships, product and service exhibitors, non-profit and educational exhibitors, demonstrators, and student scholarships. Visit the web site http://www.iptw.org/ for more information and registration. Or email info@ptn.org with your questions. You can also reach the Preservation Trades Network at 866-853-9335. This is part two in a multi-part tribute to PHMC’s Volunteer of the Year honorees. Last week, we introduced you (briefly) to 6 of this year’s Volunteer of the Year award recipients. All of our award winners were recognized at a ceremony at the State Museum of Pennsylvania on April 30. If you click on the name of the volunteer, you can read a bit more about his or her accomplishments. We thank them for their dedication to our historic sites and museums and for their many hours of service to the public. As an advisor to Drake Well Museum’s Mobile Energy Education Training Unit (MEET-U), Dave Cook devoted more than 1,000 hours of his time in 2010. 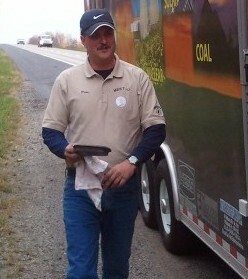 MEET-U covered over 7,000 miles as it traveled around Pennsylvania; Dave was behind the wheel for most of those and now serves as the chairperson for the mobile education program. Bryan Dunnigan, a resident of Eckley Miners’ Village, is a leader in maintaining its historical integrity. 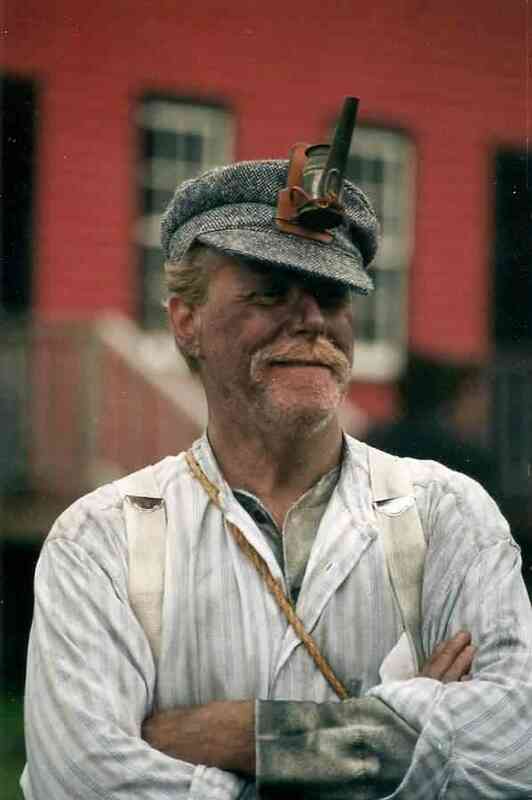 He created and now interprets the Village’s blacksmithing operation, bringing life to the time-honored trade and delighting visitors; he also lends considerable support to the Traveling Trunk program for schoolchildren of all ages. Willing to tackle many different jobs at Ephrata Cloister, Jane Woodruff assists with visitor services, guides tours (including bus groups), volunteers for the Community Days educational program (as well as other school programs), substitutes for other volunteers when needed, and provides home-baked treats for the monthly volunteer meetings. Melanie Scott dedicated hundreds of hours to the Flagship Niagara League’s first ever Tall Ships Erie Festival, which raised more than $225,000 to support the sailing program. Drawing ships and visitors from throughout the Great Lakes, Tall Ships Erie was a huge success for the Erie Maritime Museum and Flagship Niagara. 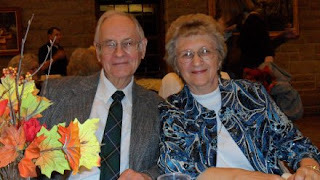 An active member of the Friends of Graeme Park for over 10 years, Dr. Bruce B. Rader has served as a board member and active program volunteer. Whether behind the scenes or on the front lines portraying Dr. Benjamin Rush, Dr. Thomas Graeme, or (above) Blackbeard, he lends his support to every event and program. M.J. Fischer supports Hope Lodge in many ways. For more than 25 years, she has been a board member, assisted with interior painting, organized special events, and worked in the garden. She works extensively on the annual reenactment of the 1777 Whitemarsh Encampment and has served as a historic weapons safety officer for the event. We’ll introduce you to more honorees in future posts. 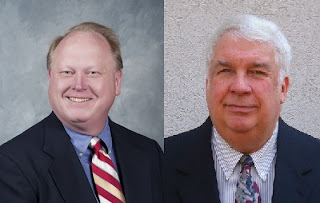 This is part one in a multi-part tribute to PHMC’s Volunteer of the Year honorees. On April 30, staff and volunteers from Trails of History sites all over the Commonwealth gathered with Harrisburg staff to celebrate all the wonderful people who volunteer their time and energy to preserving Pennsylvania’s heritage and making it come alive for visitors. As we have done every year for many years now, we honored a Volunteer of the Year from each site for their service in 2010. The ceremony and lunch were hosted by the State Museum of Pennsylvania. Today and in the coming weeks, Trailheads will highlight our honorees and share with you some of their accomplishments (and give you a link to a fuller description). We can never say “thank you” enough for the support these folks provide, but we can try. 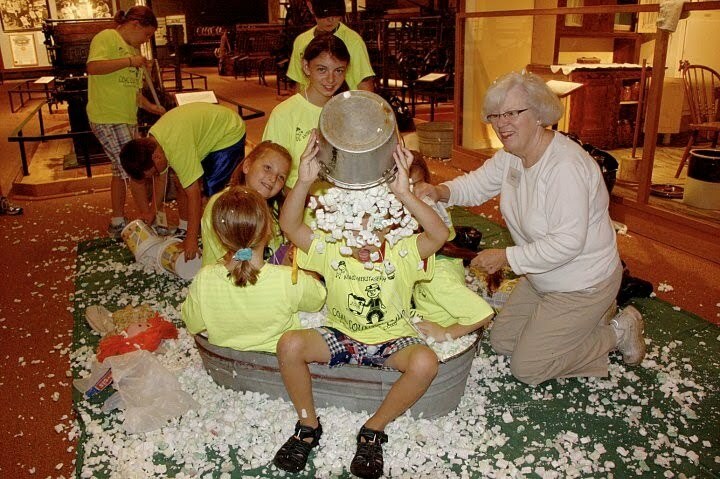 Linda Schuller began her service at the Anthracite Heritage Museum in 2009 and has been a driving force behind the museum’s summer camp and carboniferous fossils workshop. 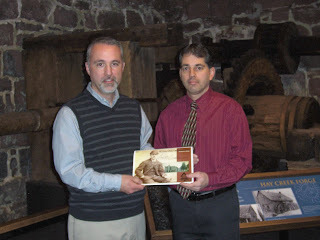 At Brandywine Battlefield, Rich Bowers and George Thorpe were recognized for their efforts to keep the site open to the public following the severe budget cuts of 2009. Dave Mohr volunteered 225 hours at Bushy Run Battlefield in 2010, guiding tours, helping in the gift-shop, serving as a safety officer for the annual battle reenactment, and telling stories on the Haunted History Hayride. A regular visitor to Conrad Weiser Homestead over the years, John Miller committed to the site as a volunteer with the Friends and the 1st Battalion PA Regiment reenactment group and never looked back. His work behind the scenes for site events may go unnoticed at times but is greatly appreciated. In addition to lots of other volunteer work at Cornwall Iron Furnace, Don Rhoads, Jr., and Michael Trump collaborated on the research and production of a highly successful (sold out 2 printings) 2010 calendar featuring Robert H. Coleman, one of the owners of the historic iron plantation. History professors (and sisters) Jill Greene and Jodi Greene-Kelly, along with their children Annie, Tara, and Jared, have devoted themselves individually and as a group to supporting and promoting programs and events at Daniel Boone Homestead. From research to poster design to weekly cleaning, their passion for history has been translated into action on the site’s behalf. Stay tuned for future posts to meet the rest of our Volunteers of the Year. 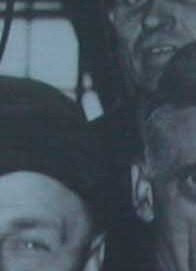 Trying something out here—a new game called “Name that Zoom!” Here’s a close-up of an image from one of the sites on the Trails of History. If you know what it is, leave a comment (click on the number next to “Comment” above and follow the instructions). I’ll include the answer in Friday’s post. I’m sure you’ll all be sleepless until then. While I have you here, I’ll just remind you that Landis Valley Village and Farm Museum’s Herb and Garden Faire is this Friday and Saturday—not to be missed if you like plants, garden stuff in general, or food. I went last year for the first time and am going back again for more herbs from the Heirloom Seed Program. Bushy Run's annual Spring Nature Walk is Saturday. 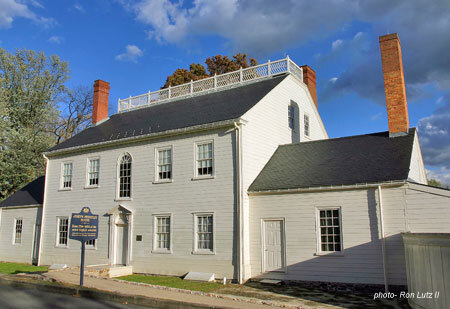 Sunday is Mother’s Day (but you knew that)—Moms get in free at Ephrata Cloister; Graeme Park has breakfast planned (reservations required); and there’s a fundraising walk at the Pennsylvania Military Museum for a local organization that helps single mothers. The Bureau for Historic Preservation has planned a series of meetings around the state to get input on the Statewide Historic Preservation Plan. There’s a meeting this afternoon in Titusville, as part of the Northwest Commission Connect to Communities Conference, and tomorrow afternoon in Moon Township (outside Pittsburgh). For details on these and other dates, go here. The Pennsylvania State Archives open house that was postponed and then cancelled due to serious water problems in Harrisburg a couple of weeks ago has been rescheduled for Monday, May 23, 10 am to 3 pm.